Let me introduce you to a book that can be considered the best and quickest way to start building games and virtual sceneries with Unity, the game engine behind exciting games and the stunning virtual world of Nurien. 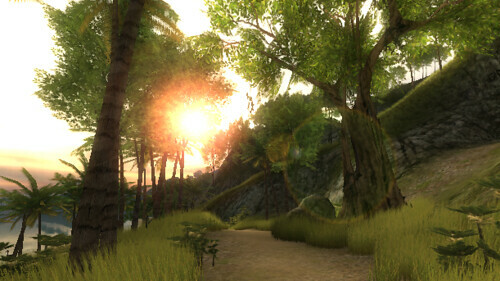 "Build fully functional, professional 3D games with realistic environments, sound, dynamic effects, and more!" Will Goldstone is the author of this book. He's a game developer and interactive web designer, and online tutor based in the south of England. He is specialized in many interactive disciplines. He has been working with Unity from the first versions that were released, and worked in its promotion since that beginning, and developed games for the Apple iPhone platform. The book has around 300 pages, and is a brilliant intro to building sceneries and games with the Unity engine. The word "engine" may be discouraging for those without a programming background, but as the book tells, what distinguishes Unity from others is the edition tool that is provided with this engine. In this editor, most of the tasks are achieved through drag & drop. Sometimes coding is necessary, and the book provides this code and explains every step. You can also download the book examples from Packt Publishing's site. And if you have never developed a game, it's not a problem, because if you just enjoy playing games you will discover how you already are familiar to many game concepts, and the book introduces you to all you need to know. The book starts explaining all that you need to know about Unity's interface, basic concepts, and common terms. Then, you start building from the very beginning. Reading the book, you will create a graphic adventure game in a desert island, with arcade elements and mini-games inside the general game plot. You will create an island using the built-in terrain editor, add the player character controls, and learn how to use collision to trigger events inside the game. You will also learn code reuse and object reuse via the prefabs, that are like types of 3D game elements that you define to be used over and over. You will familiarize yourself with professional game concepts like instantiation (create objects from prefabs and add them dynamically through scripts) for example to make coconuts fall from palm trees. Particle effects are present in Unity, and with them you will create things like fire and smoke, or comet trails. And as every game you will need to add 2D elements like menus, or messages for the player. The author tells you the different ways to make this, so you can select and use the best techniques. Unity is quite cross-platform. There are even Unity versions for Wii and iPhone. You can build a game and then make the executables and files for Windows PC, Mac, or even for a web player that can run your game embedded in a web page. The book ends telling you how to compile your game, and after that it even tells you how to find beta-testers for it, and where to send your game in case you want to share it with other Unity developers and players. To summarize: this book is a essential manual for Unity. If you want to start building games or virtual sceneries using this powerful engine, the quickest way is to buy this book, follow the chapters, and get to know everything in the shortest time.